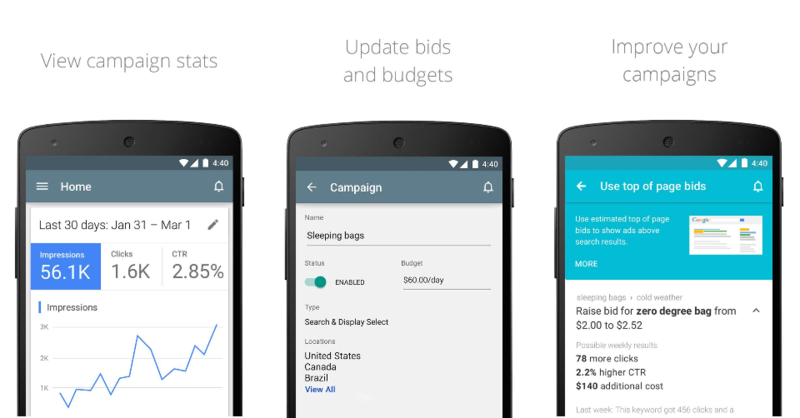 latest addition to their repertoire – the Google AdWords android app. phone and use it anywhere they have internet signal. campaigns at their finger tips. days of the week and devices. To become a valued client of us, please click here to find out more information regarding free Pay-Per-Click and Search Engine Optimisation reviews and proposals.